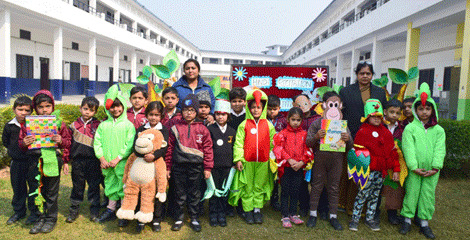 "Alma Mater Kindergarten" at Kurmanchal Nagar is the preparatory wing of 'Alma Mater'. 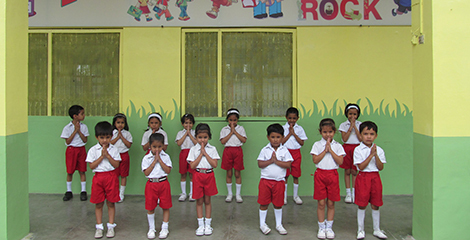 It is through the kindergarten that children are prepared to be admitted to Class I of Alma Mater Day/ Day Boarding School. Registration of students will generally be open during the months of January / February. Registration is no guarantee for admission. Students not submitting admission forms along with requisite documents by appointed date will have their registration cancelled. Note : Aptitude tests and interaction of students and/or parents are conducted only to see the suitability of the candidates and not to make a merit list for admission.